For the third winter in a row, an unusually high number of snowy owls have been submitted for postmortem examination to the Quebec regional center; 13 carcasses of snowy owls have been submitted so far this winter. Most of the birds submitted (11) were juvenile birds (born in the summer of 2015). Approximately half of the snowy owls examined this winter died of primary starvation (unable to capture enough prey for their caloric needs), whereas the other half died following a traumatic event (mainly vehicle collisions). All the owls that died of starvation were juvenile birds (less experienced hunters). This contrasts with the winter 2014-2015 during which less than 20% of the snowy owls examined died of starvation. 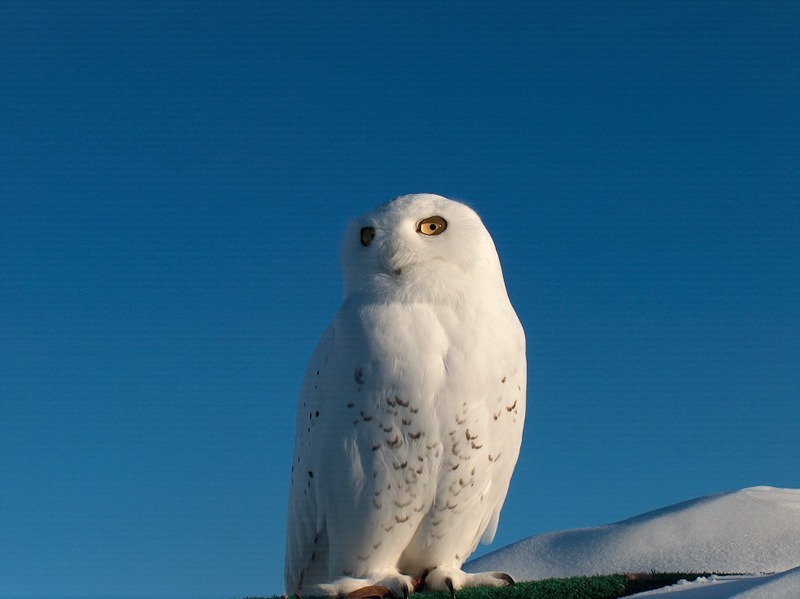 In average the snowy owls submitted this winter were so far are thinner (average weight: 1.2 kg) compared to snowy owls submitted in the winter of 2014-2015 (1.6 kg) and 2013-2014 (1.5 kg). This suggests that the availability of food resources is definitively a factor limiting survival of juveniles.